The call is unlimited. Anybody can apply . There is no limit regarding age, education or profession. 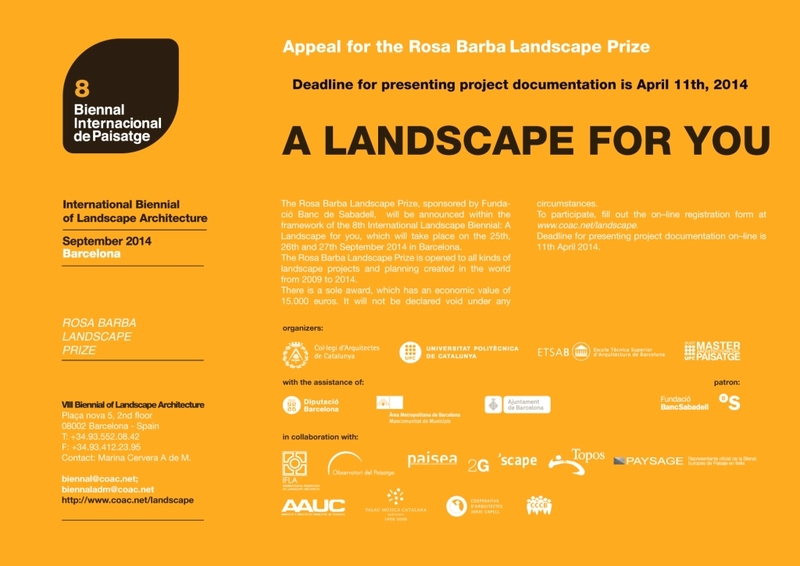 The call is patronaged by Czech Chamber of Architects (ČKA), International Federation of Landscape Architects (IFLA Europe), CIVILSCAPE, ILBA, German Association of Landscape Architects (BDLA), Bezirk Oberpfalz, Landkreis Cham. The Call partner is the City Chodová Planá. The territory in question is located in the very heart of Europe, populated and cultivated since the down of Ages. For many centuries, the Czechs and Germans used to live here side by side in peace. The tragedy of the present sad situation is rooted in the horrors of WW2; the forced exodus of the ethnic Germans in the aftermath of the war and the following Communist regime cased a serious interruption of the area’s continuous development. Today, in our discussion we are not going to put blame on anyone. Instead, we are looking for ideas how to improve the current situation. We want to revive this area and create again the true home for the local inhabitants. Actually, the Czech – German landscape renewal is not the only problem we are facing. There is an European-wide issue of rural depopulation. So, let’s together propose ideas aimed at the future rural development with all aspects of associated socio-cultural and cultural landscape values. The community of Výškovice – Wischkowitz and vicinity is our model area for ideas collection. § The purpose and mission of the Call in the broader sense is to support the issue of cultural landscape renewal in the former Sudetenland. § The purpose and mission of the Call is to obtain ideas for potential options in the renewal of the cultural landscape of the former Sudetenland based on the model example of a small village Výškovice – Wischkowitz. § Authors /author teams of five selected ideas will be invited to take part in the follow-up workshop. After the workshop authors / author teams of five selected ideas will form in the workshop the final proposals. § The supportive reason for the Call is to select the most suitable proposals for land art interventions. Develop tools for a European vision of territorial renewal and repopulation. Improve the communication and cooperation between Czechs and Germans. Search for and work with the Genius Loci. Define the culture landscape values together with the residents. Define the local values making them tourist attractive. Renew the locality values in and around Výškovice – Wischkowitz. Identify potential meeting places for the former, current and future inhabitants. The proposals should show how to utilize the regional or local endogenous potentials and resources (material, social, economical, etc.) and how to involve them in the realization process. Anybody. There is no limit regarding the nationality, education, profession, citizenship or the age of the participant. The authors of the five selected ideas will be awarded 1000 Euros and will be invited to the follow-up workshop. PILSEN 2015 will also pay to the workshop participants the cost of transport and accommodation (up to two people from each team). The selected authors and Pilsen 2015 will share the copyright. Send your questions and applications with proposals by email to: recoveringlandscape@plzen2015.cz. The 51st IFLA World Congress 2014 International Student Competition to be celebrated in the City of Buenos Aires, Argentina, is sponsored by the International Federation of Landscape Architects (IFLA) and organized by the Argentine Center of Landscape Architects (CAAP). The IFLA International Student Landscape Architecture Design Competition is part of the Congress, and it promotes and encourages the evolution of the profession of landscape architecture through education. The competition aim is to promote a reflection on the importance of “thinking and action on landscape” as a conceptual and operative tool to guide the deep and global transformations in their changes. The intention is to reconnect places to the geographic, social and cultural context that contains them, and to recover the essence of their identity and values. It is intended that students investigate the dynamic process of landscapes in their different complexities (ethical, aesthetic, functional, ecological, socio- cultural, historic-patrimonial, economic-productive, etc.) redefining and identifying new and old spaces, applying innovative and sustainable technologies, generating formal and environmental certainties; and humanizing the places and their landscape. The competition challenges students to explore urban landscapes: abandoned, obsolete and degraded landscapes; landscapes hurt by aggressive anthropic actions to nature and to the culture of the territory, landscapes substituted by new proposals and originated by needs, which may not have always kept the environmental balance. They should propose new ideas sustained by “reflective thought” that will try to solve the unsustainable problems of urban landscapes in emergency; and the “action” using the most appropriate techniques to improve the management and building of a landscape of places and of new spaces of urban sustainability. Students may select the context and site of the project. The suggested work scale is established in a range of 2 has (20.000 m2) to 10 has (100.000 m2). Proposals must show a reflexive and innovative approach, giving value to the identity of the designed place and choosing a strategy for the project execution. This is an ideas competition and will consist of one round of submissions. Proposals by the participants should assume publication and exhibition in both digital and printed media. The competition is open to all students of landscape architecture and allied disciplines (where a country or university does not include a program specifically identified as Landscape Architecture). Both individual and group submissions will be accepted, and each student or group is allowed only one entry. Broad interdisciplinary submissions are also welcomed; however the design must still focus on the configuration of the landscape and must have at least one Landscape Architecture student in the group. The number of members in each participating group shall not exceed four (4). Professional collaborators and associates of members of the jury, and their relatives up to a third degree may not enter the competition. The IFLA Sir Geoffrey Jellicoe Award is the highest honor that the International Federation of Landscape Architects can bestow upon a landscape architect. The Award recognizes a living landscape architect whose lifetime achievements and contributions have had a unique and lasting impact on the welfare of society and the environment and on the promotion of the profession of landscape architecture. The award is bestowed annually on an academic, public or private practitioner whose work and achievements are respected internationally. Should be reasonable and practical in size to carry and be representative so the object and its container do not to exceed 40 cm long. The object and its container should weigh less than 1000 grams. Participants should send an email expressing their intention to participate, through an anonymous email with their code (best is a combination of 3 letters and 3 numbers in any combination) by January 31, 2014. The material submitted will not be returned to its author. All design professionals around the world are welcomed to participate individually or as a group. The production of the award must be affordable for IFLA (maximum €500). The cost of production will be one of the evaluation criteria. The winner of the competition will produce 5 awards. These awards will be delivered at IFLA’s office in Brussels by May 15, 2014. All production and shipping costs will be covered by IFLA. The winner and IFLA will share the copyright of the work. The main objective of this international scientific conference is to raise the attention and awareness among scientists, urban planners, ecologists, professional landscape architects, city administrations and other appropriate stakeholders, about restoration, reconstruction and development of cultural, industrial, post-industrial and natural landscapes. St. Petersburg is especially known for its tremendous works on restoration and renovation of historic landscapes: parks and gardens and urban fabric. Global trends touched also industrial areas of the city. There are quite a few examples of redesigning industrial buildings and creating new industrial parks. The “Venice of the North” is invited as participants to share their vision and experiences in restoration and reconstruction of landscapes. This year conference suggested a new format with a lot of site visits and unique pre and post conference excursions to Island Valaam with famous restored Monastery. 14 June Post conference tour to Vallaam Island in Ladoga Lake (optional, special arrangement with a boat can be provided). Please note: THE COST OF VALAAM TRIP is not included in the conference fee. The programme will be published on our site, please visit http://icon-la.org/cin/eng_cin_programme.html for more information. ABSTRACTS: Please visit the conference site for more information. Participants are invited to submit abstracts related to themes as announced above. Abstracts are required for all presentations, including posters. The abstract should include three parts (Title, Authors (including name of organisation, mailing address and email), and Abstract), maximum 500 words (Times New Roman, 12 pt and left adjusted). Abstract file must be in *.doc or *.rtf formatted (not OpenOffice and not *.docx). Please, attach all used images (maximum 3) as separated *.emf, *.tiff or *.jpg files (without compression) named according to the text with desired printing size in 300 dpi resolution. Not suitable images will not be included in conference proceedings. The due date for abstracts is 1 April 2014. Conference proceedings based on abstracts will go through a review process and will be published in English. Selected full papers are invited for publication post-conference in peer-review journals. Participants are invited to submit abstracts related to themes as announced. All participants included to the program with an oral presentation should send the presentation to the organizing committee. Presentation files must be saved in PowerPoint (*.ppt, *.pptx) or Adobe PDF (*.pdf) formats. Format page — landscape 16:9. Multimedia content must be embedded to the presentation file (please note, no external references), all bitmap images must be pre-optimized, or compressed in the presentation editor for the smooth performance and fast slides relay. a copy of the conference proceedings. Visits to reconstructed historic, industrial and natural landscapes are part of the technical tours of the conference. Optional pre-conference St. Petersburg sightseeing (e.g. the Hermitage and Russian Museum, other Museums) is offered as well. The 51st IFLA World Congress 2014 Student Competition to be celebrated in the City of Buenos Aires, Argentina, is sponsored by the International Federation of Landscape Architects (IFLA) and organized by the Argentine Center of Landscape Architects (CAAP). The IFLA International Student Landscape Architecture Design Competition is part of the Congress, and it promotes and encourages the evolution of the profession of landscape architecture through education. Members: Prof. Arch. Martha Marengo de Tapia and Arch. EPP Virginia L. Laboranti. The competition challenges students to explore urban landscapes; abandoned, obsolete and degraded landscapes; landscapes hurt by aggressive anthropic actions to nature and to the culture of the territory, landscapes substituted by new proposals and originated by needs, which may not have always kept the environmental balance. They should propose new ideas sustained by “reflective thought” that will try to solve the unsustainable problems of urban landscapes in emergency; and the “action” using the most appropriate techniques to improve the management and building of a landscape of places and of new spaces of urban sustainability. The winning teams will also receive international recognition through IFLA sponsorships and IFLA publications. Submissions must be received by the competition organizers no later than April 5th, 2014. Each entry shall receive a serial number and, from then on, will only be identified by that number, in order to keep anonymity during the submission and the final election. The final product, when printed at 100% size, must comprise a maximum of three (3) A1 posters (each one measuring 841mmx594mm, landscape format only). The posters will be displayed horizontally next to each other with a 20 mm gap between them. Entrants must also submit a brief Description (250 words maximum) in a separate PDF file, identified only by the title of the project (DO NOT include the names of the students or the name of the university). It must be a clear and concise text describing the present situation and must identify the key aspects shown in the design proposal, for potential use in the jury report or subsequent publications. The text is to be no justified, left aligned and double spaced, in Arial, font 12. All submissions must be entirely in English, which is the official language of IFLA. Local names and specific conditions of each country may be included in the local language. This is to ensure that all material can be understood by the jury, who conduct their reviews in English. The presentation of PDF files into posters must include all the project information, including text. Text should be minimal, but must include clearly and concisely the intentions of the project, concepts, considerations and methods. An aerial photo showing the present situation. Representation of the design to a general scale. Design in a more detailed scale. Cross sections, 3D drawings, sketches and details as necessary to illustrate the proposed design. PDF files of posters must have a 300dpi resolution and the size of the folder shall be a maximum size of 10MB. Larger folders will not be accepted. It is the responsibility of the teams to guarantee that the final images and files are in the size and resolution adequate to their reading. The entrants must ensure that all images, photographs and other material taken from other sources are correctly accredited. Upon receipt, each entry will be assigned a serial number in order to guarantee the anonymity during the pre and the final selection. The four (4) PDF files, and the folder they are in, shall not identify the names of the participants, faculty sponsors or the university. A fifth (5) additional PDF file, with the complete Declaration Form, which is attached to this document, must be included. This must be fully completed. The Declaration Forms will be kept separate from the project PDF files, and will only be consulted by the jury once the final deliberations are completed. Participation in the Competition implies unconditional acceptance of the Competition rules. Proposals received after the deadline shall not be admitted. Presentations which do not include the Declaration Form, with all the requirements and the stamp of the institution, will not be admitted. Submissions shall only be accepted if sent by the means established outlined above. All Competition entries are the property of the 51st IFLA World Congress Local Organizing Committee. Entries will not be returned to the authors. A selection of the works submitted by the Competition entrants will be placed on exhibition during the 51st IFLA World Congress and may be also exhibited elsewhere at the discretion of the Local Organizing Committee and the IFLA Chair and IFLA EXCO. IFLA and CAAP retain the right of duplication or publication of any or all the material submitted to the Competition, and there shall be no obligation whatsoever to the entrants, beyond acknowledging the authorship of the works exhibited or published. All entrants are absolutely forbidden to have their submissions (or any part thereof) published in any way prior to the notification of the jury final decision. The jury shall preside over the competition, and is the sole arbiter at all levels until the final awarding of prizes. All decisions of the jury are final. All disputes related to the Competition that cannot be solved only by the jury shall be settled through arbitration by the 51st IFLA World Congress Local Organizing Committee, who shall appoint an arbitration panel to settle any dispute. The winners of the 1st, 2nd and 3rd prizes shall be announced by the IFLA President upon recommendation of the jury. Entrants are forbidden from requesting any information from members of the jury. All inquiries must be directed to the Competition Chair. However, please, be sure to read carefully through the brief and instructions, as all required information should be contained there. The Jury will be composed by three to five members of IFLA. The members will be appointed according to the protocols of the IFLA Student Competitions. Reflections, ideas, proposals and technical resolutions as required by this competition brief. Integration of practical and aesthetic aspects of Landscape Architecture. Technical / economic viability of the proposals in relation to their location. Graphic representation of the methods that improve the standards and practices of Landscape Architecture. The folder shall include 5 PDF files (1 for each of the 3 panels, a 4th with the project description, and a 5th with the Declaration Form (all must be completed in English). The specifications for the electronic submission will be made available on the 51st IFLA World Congress website www.iflaargentina2014.com under “Student Competition” at a later date. Entries must be received by the competition organizers, in Argentina, no later than: May 5th, 2014, at 12 PM. PARKS, the International Journal of Protected Areas and Conservation, was successfully re-launched at the World Conservation Congress in September, and want to keep the momentum up. Contributions for issue 19.1 of PARKS are now accepted, and it is hoped to get a robust response that captures the breadth and diversity of protected areas conservation worldwide. PARKS seeks to move the protected areas conservation agenda forward by highlighting the best research and latest innovations in protected areas management and policy. The first re-launched issue included, amongst others, features on meeting Target 11 of the Aichi Biodiversity Targets, connectivity conservation of the great green macaw‘s landscape in Costa Rica, protected area and veterinary fencing in Southern Africa, human health and well-being associated with protected area experiences in Canada, and case studies of successful conservation programmes in tropical Pacific island countries. The forthcoming issue will also reflect this topic and geographic diversity.